Its about time Dell came up with some cool stuff for a much more affordable price. Dell is all set to sell its new Inspiron Duo Tablet which will launch in the first week of December, just in time for the holidays. The tablet is to have a price tag of $549.99. 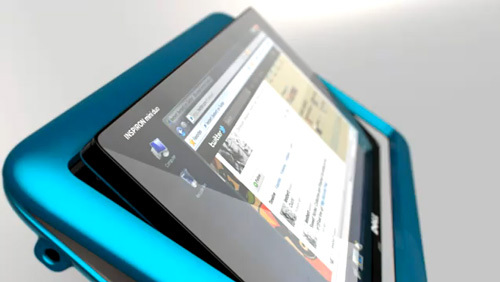 The Inspiron Duo Tablet is one of its kind and Dell has shown some diligence in making this new tablet. The tablet has a unique and actually is a laptop with a revolving screen that allows you switch between it being a tablet or a netbook. Unlike other manufacturers who came up with similar versions, this tablet actually has a rotatable screen attached to two hinges which let the screen rotate within the frame rather than on a single rotating hinge point. The specs of the tablet are quite decent. It has a nice 10 inch LCD screen with 2GB of RAM and comes with a 1.5GHz dual-core Atom CPU. It is also loaded with a Broadcom Crystal HD accelerator that can drive 1080p video either directly or in Flash. It has a 250GB hard drive which is thrown into a standard configuration.